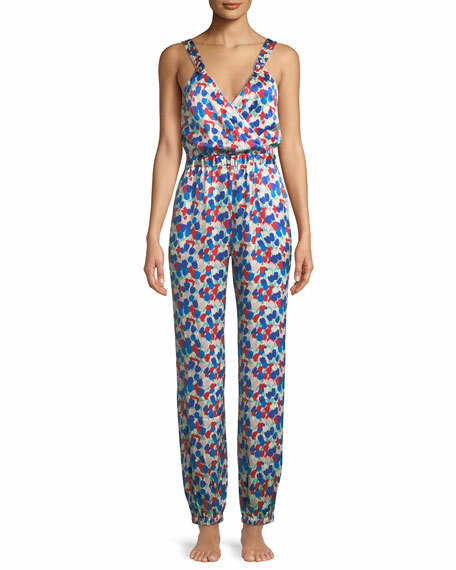 Morgan Lane suki jumpsuit in painted tulip charmeuse. Surplice V neckline; scoop back. Relaxed legs taper to ankle. For in-store inquiries, use sku #2526788.